Manhattan, New York CIty, NY. January 23rd, 1974. Muhammad Ali pointing his finger during the weigh-in process, before the second boxing match between him and Joe Frazier. 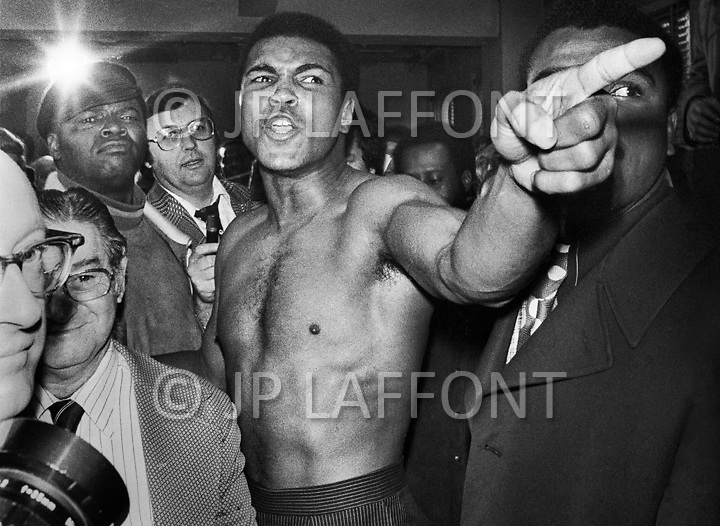 Ali won the fight by unanimous decision, regaining the title.